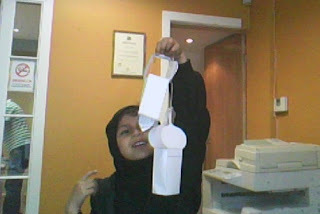 Get excited for Ramadan season with a craft mosque-lantern. I believe in eternal innocence, there is no such thing as 'old age' that forbids a wrinkly fuddy-duddy from singing nasheeds for Ramadan, or neglect decorating a 'good deed' tree. Every Ramadan, my brother, sisters and I, have made a tradition out of hanging decorations, an Arab Eid-mas palm tree and candle-lit lanterns to pave the garden paths. 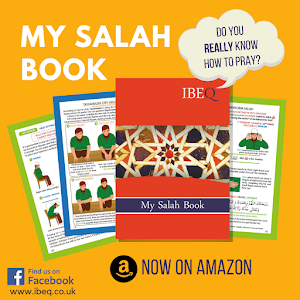 There are many mosque templates available in children's books and online but my family and I like to use this adaptable one. It can be used as a backdrop to an Eid diplay, used as a nightlight with battery powered candles or hung high like lanterns. All you need is a computer connected to a printer, coloured A4 paper or card, glue/stapler, and an assortment of sweet wrappers (think Quality Street) and tissue paper. Oh, and lots of glitter. Oh, and sweets. Lots of sweets. For the children, clearly. Right-click the mosque image above and save. Or download and print the template for the mosque-lantern. For larger models photocopy the template and scale to 200%, A4 to A3. 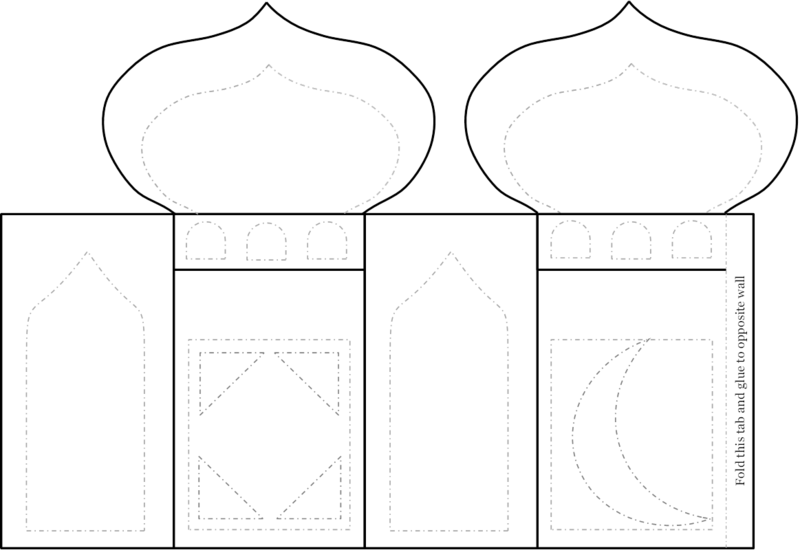 Cut out the whole mosque then fold each wall line to create a box without a base. Cut out a strip of card about 2x10cm from the leftover card and glue or staple to both the domes. Hang the lantern without obstructing any lights and avoid fire hazards. Alternatively, and this is purely preferential, add a card base to the lantern and fill with sweets to hand out at Iftaar time. My sweet little demonstrator made two mosque-lanterns, "one for me and um, one for my baby brother!" 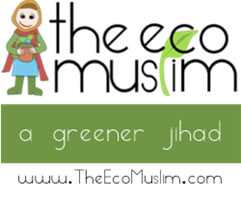 The link again to the Ramadan Mosque-Lantern project.